Sizergh castle sits about two miles to the South of Kendal, and about a quarter of a mile West of the A591. 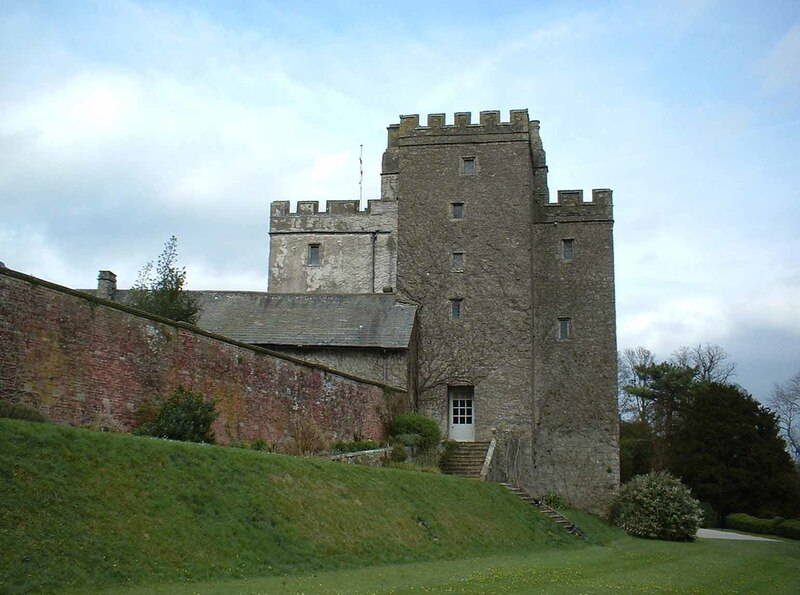 It is one of a group of great houses\castles in the area that started off as defensive structures and later became luxurious homes. 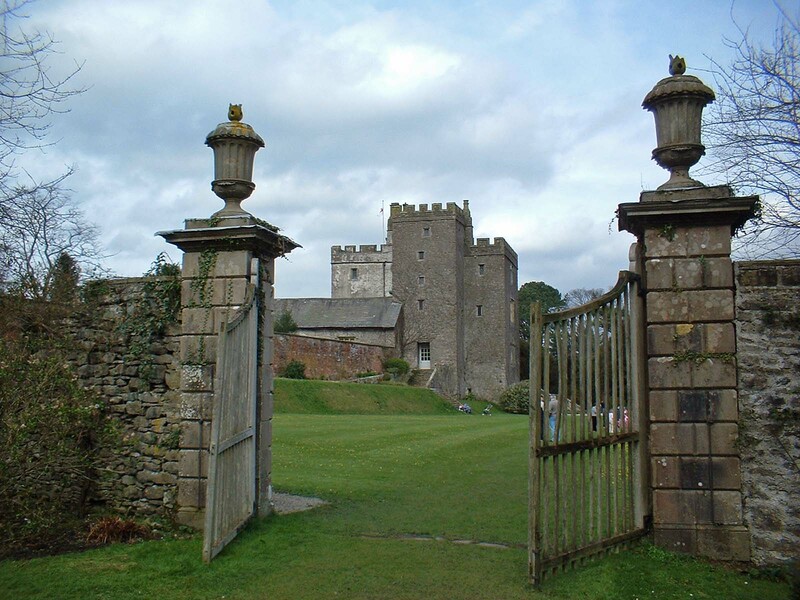 Others in the area are Muncaster Castle and Levens Hall. Above. A view of the castle from the walled garden to the South. The area around Sizergh, has been continually occupied since the ninth or tenth centuries, with the first inhabitants being Scandinavian settlers. 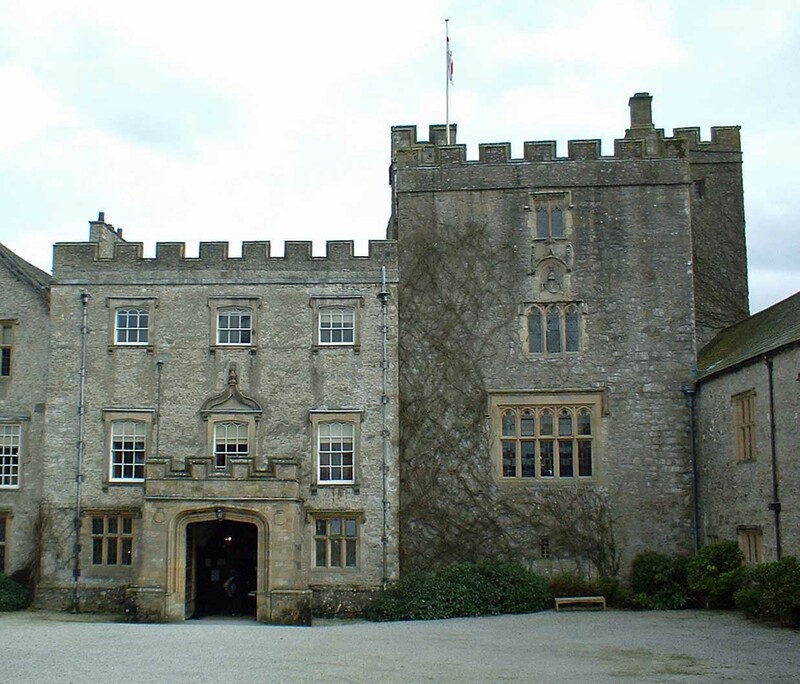 Sometime between 1170 and 1180, Sizergh was included as part of a larger swaith of lands, as a grant to Gervase Deincourt, by Henry II. A relative of Gervase's settled in the area, and no doubt took command of the day to day running of the huge estate. The main part of the Deincourt family settled in Blankney in Lincolnshire however. When Gervase's great grandson died, the estate was taken over by Elizabeth, his great granddaughter the sole heiress to the vast estate. She in turn, conveyed ownership of the estate to her husband, Sir William Strickland. The year was 1239, and from this date forward, Sizergh has been continually the primary residence of the Strickland family. The Strickland family name can be traced back to a family called de Castlecarrock, most likely descended from a Norman family called the Vaux's or de Vallibus. Walter de Castlecarrock married and moved South, to an area called Great Strickland. Around 1179, he changed his name to de Strikeland. The name Strickland can find its roots in the word Stercaland, a Westmorland name meaning 'pasture of young cattle', and is the name of one of Kendal's main streets, Stricklandgate. Walter was knighted at some point, and his grand son was Sir William Stirckland, the husband of Elizabeth Deincourt. Above. A view of the castle from the gardens below. The oldest part of the castle, is the four storey tower. This portion of the castle was probably built in around 1340, after Sir Walter was granted licence in 1332 to enclose his lands for ever, and to create a park. An interesting aside here, is that Sir Walter's sister, Joan Strickland was married to Robert de Wessington, an early ancestor of the Washington's of Warton in Lancashire. Descended from this family, was the first President of the United States, George Washington. The early tower, is 18 and a half metres long, and nearly 11 metres wide. As you look at the entrance to the castle, as shown in the photo below, the tower (most likely a pele tower) is the building to the right of the door. The walls are, in some places, up to 2 and a half metres thick. The turret that can be seen at the back of the tower, is the stair turret, carrying a spiral staircase to the four storeys of the tower. Above. Close up view of the tower. The tower is surrounded by later buildings dating from the 16th, 17th and 18th centuries, all of a non-defensive nature, and designed with comfort in mind.The Strickland family have a long history of alliance with the Parr's of Kendal, and the chapel dedicated to the Strickland family in Kendal Parish church, is testament to their connection with the town. Indeed, Katherine Parr lived at the castle for a number of years prior to her marriage to Henry VIII. In 1530 she sent him a coat of Kendal cloth as a gift. 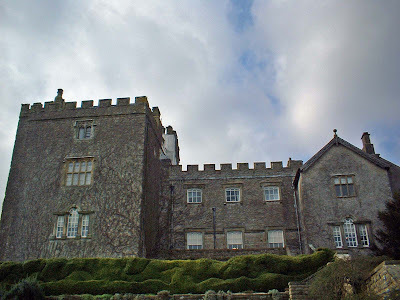 Her residence at Sizergh Castle was a precautionary arrangement after the death of her mother, to oversee her inheritance then under the control of her brother. The Queen's room at the castle still displays the huge counterpane and toilet cover that Katherine embroidered. 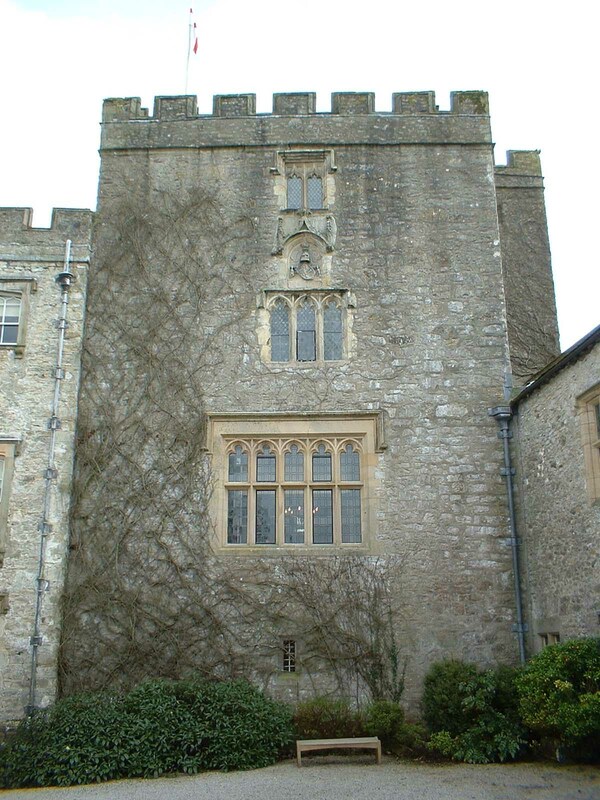 These quarters are situated in the older portion of the castle, then called the Deincourt Tower.